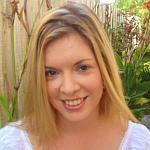 Sarah Loughran is currently a researcher at the University of Wollongong in the Australian Centre for Electromagnetic Bioeffects Research (ACEBR) human neurophysiology research group, an NHMRC Centre of Research Excellence (CRE). She is also an Associate Investigator in a second NHMRC CRE, Population Health Research on Electromagnetic Energy (PRESEE) based at Monash University in Melbourne. She received degrees in physiology and psychology from Deakin University before completing a PhD in cognitive neuroscience and psychophysiology in 2007 at Swinburne University in Melbourne. She subsequently spent several years as a postdoctoral fellow at the University of Zurich, Switzerland, specialising in bioelectromagnetics, sleep, and EEG signal analysis research. During this time she was also accepted as an experienced research fellow in the Marie Curie Training in Sleep and Sleep Medicine initiative. Her research focuses on a wide range of bioelectromagnetic health issues including the effects on sleep, human brain function, and the mechanisms associated with these effects, as well as sleep and cognitive neuroscience research more generally. She is a member of the current World Health Organisation (WHO) RF Environmental Health Criterion evaluation committee, and is on the board of directors for the Bioelectromagnetics Society. Sarah Loughran was appointed a Member of the ICNIRP Scientific Expert Group (SEG) in March 2013.